We are able to provide a taxi transfer service on request. We suggest you to arrange it at the time of making your booking and at the same time we will advise you of prices for either one way or two way journey. If you have reserved a taxi transfer the taxi driver will greet you with the lead name in your party on a board awaiting behind the glass doors at GATE "B" which you find right after luggage belt Number 3 and 4. Further details will be provided on receipt of your final Travel Documents. We use a local taxi company based in Puerto Pollensa, who are familiar with the general area and, in particular, the locations of our properties in order to ensure a smooth transfer service. • Cancellations between 24 -36 hours before the taxi booking, the 50% amount of the total price will be required. • Cancellations less than 24 hours before the taxi booking, the 100% of the price will be required. • Booking errors such as dates, times, etc., the 50 % amount of the total price will be required. • In case of lost luggage or delays or you miss your driver or he may have unforeseen delay in transit PLEASE RING contact numbers in your possession noted on your TRAVEL DOCUMENTS. Please DO NOT take a Palma Taxi prior to contacting ourselves. In case you do not take our pre-booked taxi, you will have to pay the 100% amount of the price of your taxi booking. In the event that part of your party are taking a taxi transfer and the rest of your party collecting car hire from the Airport, unfortunately, due to schedules/commitments, the taxi driver will not be in a position to await for your party to collect their car hire i.e. 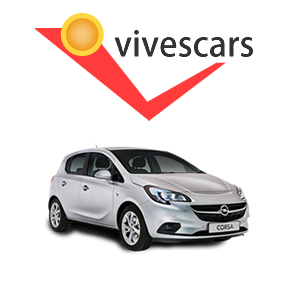 Taxi Transfer/ Car hire to drive in convoy together to the Villa. We therefore, do ask your co-operation, in not expecting or placing the taxi driver in a difficult position in being asked to wait if you have part of your party collecting the car hire at the airport. Taxi transfers prior to 4pm on arrival Palma Airport: your taxi will bring you to the Resort Office where you will be able to collect your hire car. You are welcome to leave your cases in our Resort Office. Taxi transfers after 4pm on arrival Palma Airport: your taxi will take you directly to your villa accommodation where your hire car will be awaiting. Taxi transfers after 10am will be booked to collect you from our Resort Office. Note. You can leave your cases at the Resort Office and continue using your car hire vehicle until your taxi transfer collection time. Taxi transfer collection is a standard 3 hours before your flight, i.e. 1 hour journey time to Palma airport and 2 hours check in, whether you are collected from your villa or resort office. In the event of any pre-known change of times that may affect your taxi transfer arrangements and which have not been advised to The Best Villas Pollensa, we cannot be held responsible for lack of taxi awaiting on your arrival or collection on your departure day. In the rare occasion your taxi transfer is not awaiting you on arrival, at the allocated meeting point or is slightly delayed due to traffic en-route, due to unforeseen circumstances, please DO NOT take a Palma Taxi. We ask you first, immediately ring the contact numbers in your possession, so we are able to make contact to the driver to establish his whereabouts and keep you informed. A taxi service does operate at Palma Airport, however please be aware that these drivers are not familiar with either the resort of Pollensa and, in particular, the location of our properties. We cannot be held responsible for any difficulties incurred in locating your property and/or possible costs suffered by using an independent taxi service, if you use this service without first contacting us in the numbers in your possession. It is strongly suggested you re-confirm your collection time with our Resort Office during your stay. Should you wish to go out for the evening or day and not wish to drive your rental car we have an arrangement with our local taxi firm who know the locations of our properties and are able to collect you from your villa and take you back at your desired time. You will have a villa locator number in your villa information book and telephone number of the taxi service which you can contact and quote your "Villa Locator", which swiftly allows the taxi driver to identify which villa you are staying or if you prefer you can contact our Resort Office and we are more than happy to make the arrangements for you and inform you about the price of the taxi service.